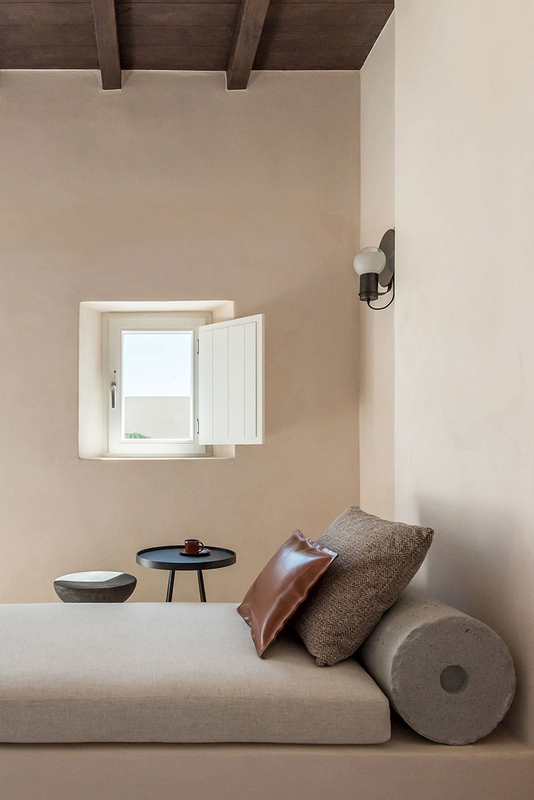 Interior Design Laboratorium have done their magic again and designed in this gem of a hotel located, where else, in magical Santorini. After a perfect mini vacation yesterday (read this post to find out what/where and why!) 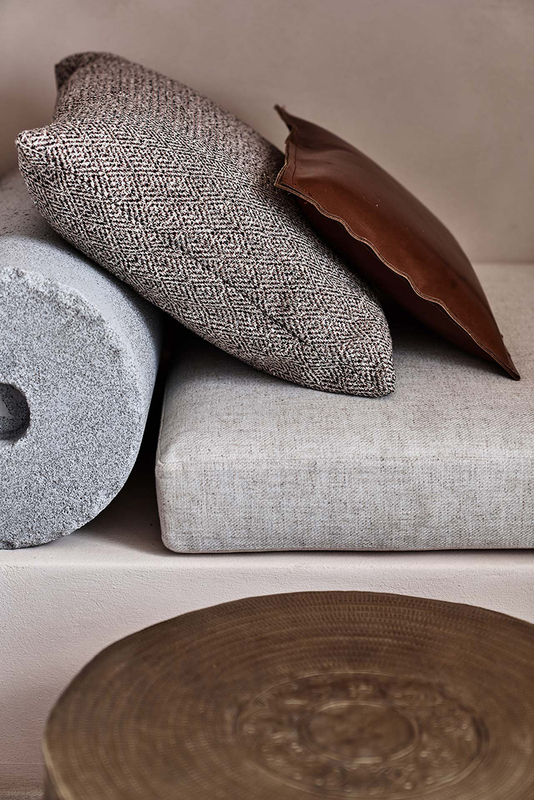 I gave my best shot to focus and work in my office today and then, boom, I come across the ISTORIA Boutique Hotel at Yatzer and there goes my mind again! The freshness, the vibe, the parred back elegance, the design, oh I tell ya, I really need to spend some days there! 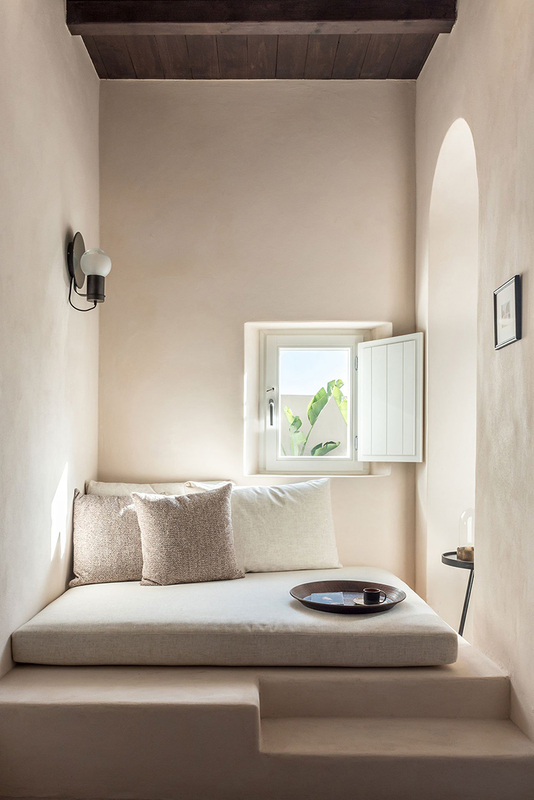 I'm not sharing the whole lot of photos (for those you'll just have to check Yatzer's post) but I'm picking these daybeds for I loved their aesthetics and incredible design. 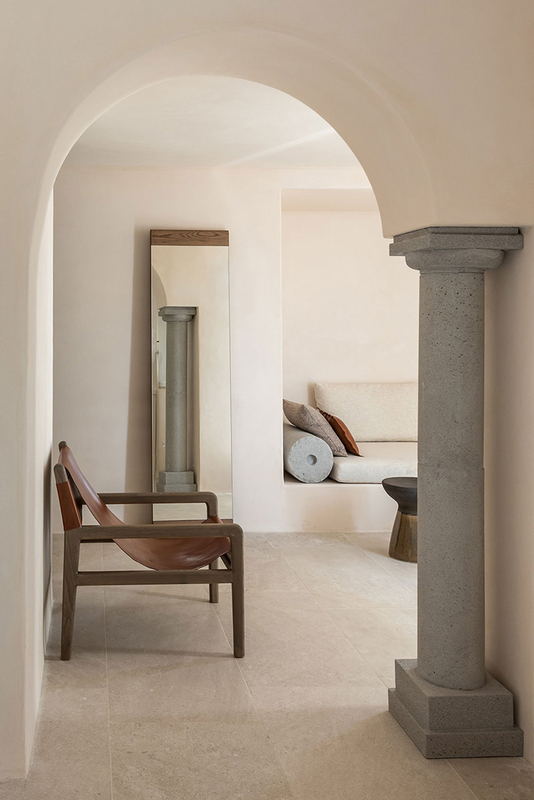 The stone bolster is an ingenious touch and adds a characteristic Doric elegance, a contemporary ancient Greek style if I may say. I also love the textiles, the arches (of course! ), the Doric columns, the neutral palette and the overall use of stone and woods on the floors and accents. See more and book your stay here.